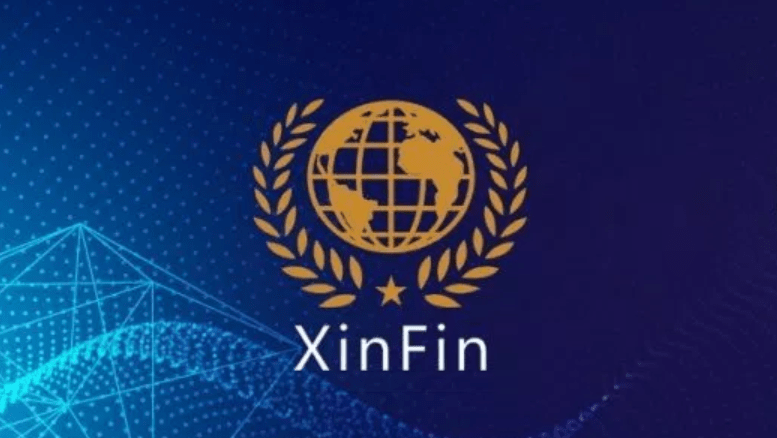 XinFin be like ‘You ain’t seen nothing yet’ with the latest updates, they are set to take the world of blockchain technology to the next level. 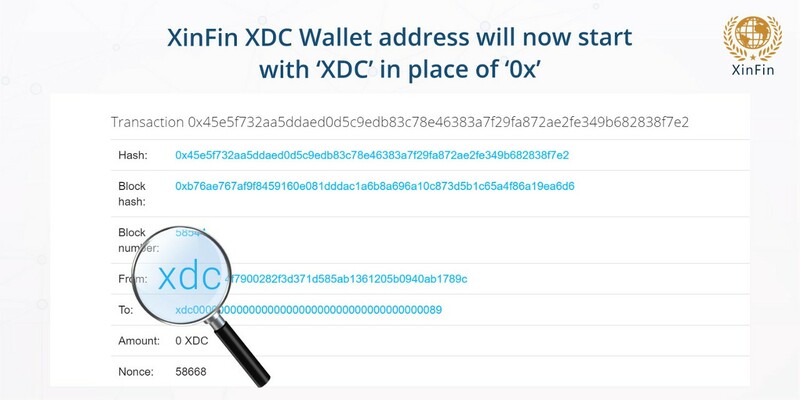 One basic challenge of some XinFin users in the past has been mistaking XDC based address for Ethereum based wallet address. This is because they all start with the 0x prefix. Frequently, on the XinFin’s telegram group, you see people coming to lodge complaints and report mistakes. They seem not to be able to differentiate between XDCE which is the Ethereum based version of XDC. XDC is the XinFin’s token which is on the XinFin’s blockchain- XDC01 protocol. XDC is different from XDCE because they are on different blockchains but they can be swapped 1:1 on alphaex.net. The mistake comes because the XDC address format looks like an Ethereum based wallet address as stated above. It is only reasonable because XinFin is a fork of Ethereum. Sending XDCE to an XDC01 based address will result in to loss of tokens sent. In the same vein, sending XDC to an Ethereum wallet will result into loss of tokens. XinFin released an update on March 25th to permanently solve the challenge. XDC01 based wallet addresses will now carry ‘XDC’ as a prefix instead of the previous ‘0x’. This is an update that is not common with projects today. It sets the project apart and ahead of others in the sphere. The team continues to explore areas of application of XinFin’s hybrid blockchain. You surely want to know about the blockchain application in the invoice finance market. The basic challenge of business around the world today is keeping the cash flow steady. This can be especially hard for businesses that rely on suppliers or buyers that are far away. Naturally, a buyer won’t pay for goods he hasn’t received. A seller or supplier, on the other hand, want money for the stock he/she is supplying upfront not factoring that it will take days for goods to be delivered. Shipping goods from sellers to buyers sometimes may take up to 30 days. Yet, the seller needs the money to pay the services of workers and other running cost. Additionally, the issue may not just be about how long it takes to receive or send goods. It may be that the buyer needs stock so he can transform it into a final product. But, he may not be able to pay upfront because the ones he is supplying are not able to get funds through to him on time. He needs to get the goods going so he will not be out of business. Yet, his supplier is suffering the same ordeal- not getting paid upfront. No matter what is the case between a buyer and a seller that is causing a hitch in money flow, financiers are always ready to help. Financiers are people who wish to be a surety for the supplier that the buyer will pay. So they collect the invoice of the goods sent and pay part payment to the seller or supplier. When the buyer is ready to pay for the goods he received, he pays to the financier. The financier deducts his money and interest according to the agreement and interest rate set, the remaining fund is sent to the seller/supplier. Obviously, doing this in a centralized system comes with a lot of risk for the financier. Anything can happen, the buyer and seller can agree on a fake invoice to defraud the financier. Transferring funds through banks over a very long distance can be a pain too. Invoice financing in a centralized system carries a lot of risk to the buyer and seller too. XinFin designed inFactor.io to solve the challenges mentioned above. A platform to connect the supplier, buyer and financier in a transparent and trustless way is the real deal. One of the first thing XinFin is doing to curb fraud on all sides is a mandatory KYC for all platform members. Another is that all platform member must lock up some amount of XDC in their wallet to use the platform. Furthermore, InFactor enforces transparency and truthfulness between all players. The supplier uploads the invoice, it is reviewed by the buyer. The invoice is approved or rejected by the buyer. If approved, the invoice becomes valid and can be financed by the financier. All financiers receive an alert after the supplier selects the validated invoice for factoring. After the interest rate is agreed on by the supplier, the financier sends the first payment to the supplier via the platform. And after the fund has been paid to the financier by the buyer, he deducts his money and interest, then sends the rest to the supplier. Since the funds are sent on the platform there is no waiting period as in the centralized system. InFactor is set to be a game changer to the invoice financing market. XinFin is not stopping at just a few application for its hybrid blockchain protocol. One can always expect to see more applications and exciting updates in days to come. Do always check on The Currency Analytics and FinancialReport24 for more updates on your favorite project. ICO lost it, the Bubble Busted. IEOs to the Rescue to save Crypto Start-ups? I am Ayobami Abiola from Nigeria. I am a Cryptocurrency enthusiast who like to write about creative and great innovations- The wonders of the blockchain technology.